Worshipping the Holy in the Christian tradition in God's own cathedrals. Upon seeing the photo above you might say - that's not Santa Fe or WitW and you'd be right. It's an image of the sunrise that I took on Pawleys Island, South Carolina on my 50th birthday recently. Later that day as Anne-Drue, Connor and I were walking on the beach we witnessed a Bald Eagle attempt to steal a fish from an Osprey almost right over our heads - they both lost the fish. I've been going to Pawleys Island for 40 years and I've never seen a Bald Eagle there before so I took it as a good sign. The important news is that I've accepted a new position (in Episcopal Church lingo it's known as a call) as Priest-in-Charge Under Special Circumstances at Christ Church Chattanooga, TN and I begin December 1st. So November's liturgical hike will be our last together - details in a bit. I grew up near Chattanooga so this will be a bit of a homecoming for me. In fact, Christ Church is right across the street from UT Chattanooga where I was an undergraduate. We are looking forward to being there but will miss Santa Fe and our Worship in the Wilderness friends here. At this point it is not clear how or if WitW will continue in Santa Fe but I am hopeful that "we" might find a way for that to happen. Chattanooga is a very outdoors oriented city (in fact Santa Fe's own Outside Magazine recently ranked Chattanooga as the "ultimate dream town" for outdoor living and activities) and WitW will be a big hit there I'm sure. I look forward to beginning WitW there in the spring. With regard to our November liturgical hike, we will meet in the St. Bede's parking lot (map/directions) at 9:00am and leave there about 9:15am. It may be quite cool on Sunday so please come prepared for the weather, but do come! Please be prepared to hike with proper footwear, clothing (including rain gear) for the expected weather, plenty of water and at least a hearty snack. Follow this link http://www.americanhiking.org/Resources/How-Tos/ for information from the American Hiking Society, including the 10 Essentials of Hiking. A patchwork of gold is beginning to appear in the Sangre de Cristo mountains and by Sunday October 2nd let's hope it's even more so. We will meet for our October hike on Sunday the 2nd in the St. Bede's parking lot as usual (map/directions) at 9:00am and leave there at 9:15am. At the moment it looks like we'll have decent weather with a 30% chance of isolated thunder storms. So see the boiler plate p.s. below and come prepared for another wonderful day worshipping in the wilderness! We welcome anyone who is interested in an active, yet reflective, Christian outdoor worship experience. We call it "liturgical hiking." Currently we meet the first Sunday of each month in and around Santa Fe, NM. Check my on-going posts to find out where and when to meet. If you'd like to join us for a liturgical hike please read the General Information section at the bottom of this page for some important information. 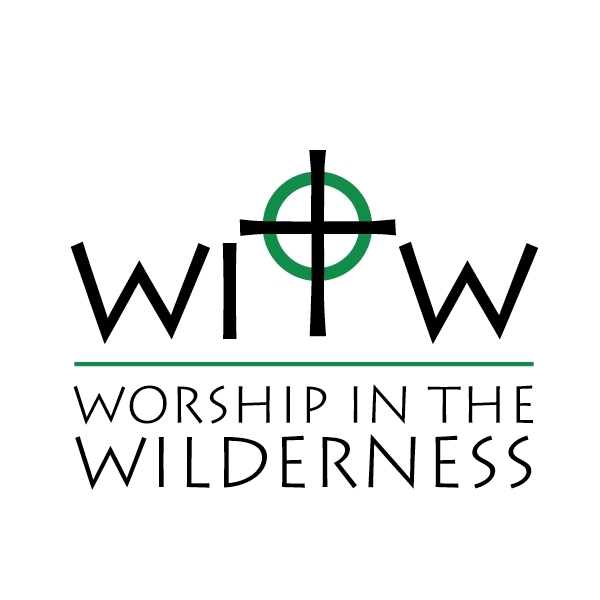 If you would like to find out more about WitW please click "More Information About WitW" just below and/or feel free to email me with questions or comments by clicking on the email link under "Contact Information." From time to time I have inquires about my willingness to travel to other parts of the country to lead liturgical hikes and/or to assist in the formation of groups who wish to hike liturgically. I would be honored to do either or both of these things and would ask that you be in touch via e-mail so that we can plan together. 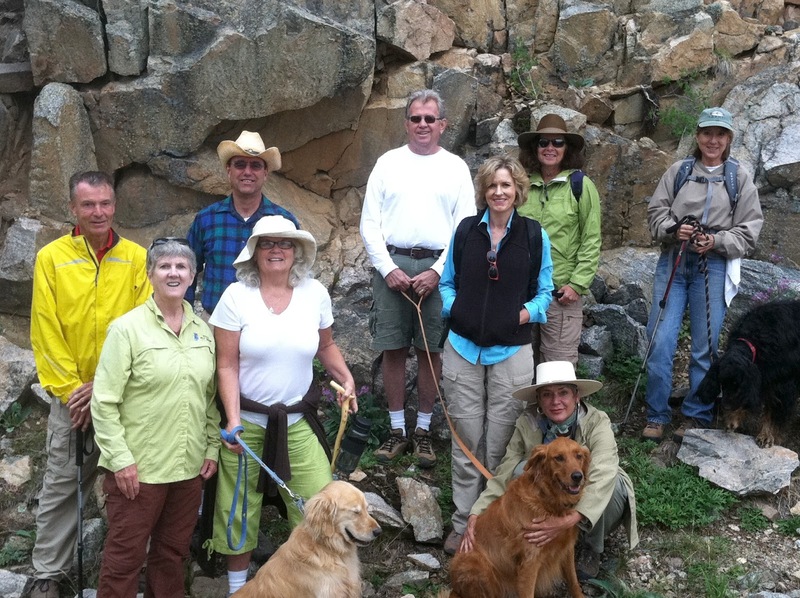 Worship in the Wilderness is an affiliate of St. Bede's Episcopal Church in Santa Fe, NM and The Episcopal Church. Please find links to their websites below. Please know that some of the hiking we do may be somewhat strenuous and the weather and altitude here in Northern New Mexico should always be considered if you plan to participate. While most of our hikes are a half day or less, you should always wear sturdy footwear and bring plenty of water and at least a hearty snack.